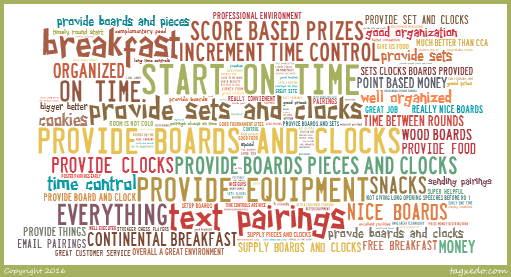 We aim to create a pleasant environment for playing chess. Below are the answers we received at our last tournament to the question of what do we do better than other tournaments. Clocks provided in ALL sections → All you need to do is show up. Free Sunday morning Continental breakfast → Relax, have some coffee and a danish before you start your game. $99/night room rate includes Wifi Reserve a room → Relax and stay at the tournament hotel. $5 EF discount if staying at hotel. Reserve a room. Your prize does not get lowered if others tie with you. For example, if there are two 5-0 players, both receive the full amount for 5-0. Adult Unrated may not enter U1000. All unrateds and are limited to a maximum prize of $100 in the U1000, $200 in the U1250, and $400 in the U1500 section. Balance goes to player(s) with same score or is divided among players in next lower score group. At-the-door (cash or credit card) $130. We'll be using Square to process credit cards. We'll also be trying our Square's Card Case app. If you have a Android or an iOS phone install and setup the Card Case app and at-the-door registration will be a breeze. Read about Card Case at Wired, Slate Magazine, and USA Today. Under 1250 section: all entrance fees $35 less. Under 1000: all entrance fees $55 less. Free early entrance to GMs. nothing will be subtracted from any prizes. $45 discount EF for IMs. nothing will be subtracted from any prizes. 3-day schedule: Reg ends Fri 7 pm, rds Fri 8 pm, Saturday 11am and 6, Sunday 9:30 am and 3:30. 2-day schedule: Reg ends Sat 10 am, rds. Saturday 11am, 2:15 and 6, Sunday 9:30 am and 3:30. U1000 and U1250 2-day schedule: Reg ends Sat 10 am, rds. Saturday 11, 12:45 and 3:00, Sunday 9:30 am and 12:45 pm. U1000 and U1250 3-day schedule: Reg ends Fri 7 pm, rds Friday 8 pm, Saturday 11 and 3:00, Sunday 9:30 am and 12:45 pm. all, $80 except U1000 and U1250 $40. You can reenter any schedule taking 1/2 point byes for unplayed games. If you reenter with a single 1/2 point bye, the cost is $70/$35. If you reenter with two 1/2 point byes, the cost is $60/$30. Do not bring electronic devices (cell phones and smart watches) into the playing venue (playing room, halls outside playing room, smoking area, bathrooms, etc) according to FIDE rule 11.3. Players are subject to scanning to test for possession of cell phones. We plan to monitor using both thermal and magnetic scanners. Traffic in various areas will also be video monitored. 1st Violation 30 minute time penalty limited to no more than 1/2 the remaining time on the clock for the current time control. 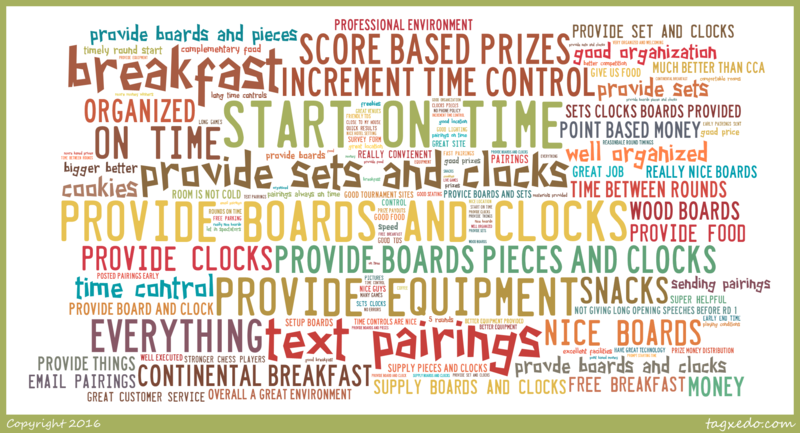 In sections that the organizer provides clocks, if both players are not present at the start of the round, the tournament director will start white's clock. Clocks that halt on end are preferred in all sections with increment time controls. Any player forfeiting a round must pay a $50 fine before being allowed to play in a future tournament organized by MCA or Baltimore Chess. At this point in time, the electronic score keeping device, ChessNoteR, cannot be used at this tournament. Players with byes who are eligible to play in a lower section that also has a bye player may get paired in the lower section as a house player. They will still have the bye for standings in their original section. The game in the lower section does count for standings and must be played.